Beluga Whales are one of my ALL-TIME favorite marine mammals. These amazing “sea canaries”; named so because of their vocalizations, are one of the few whale species exhibited in marine parks. So when a baby is born…its BIG news! I was so fortunate during my recent visit to Vancouver Aquarium to see their newest addition: a baby Beluga named Tiqa. Tiqa was born on June 10, 2008 to her mom, Qila. She was the first calf in Canada to born to an aquarium-born beluga. 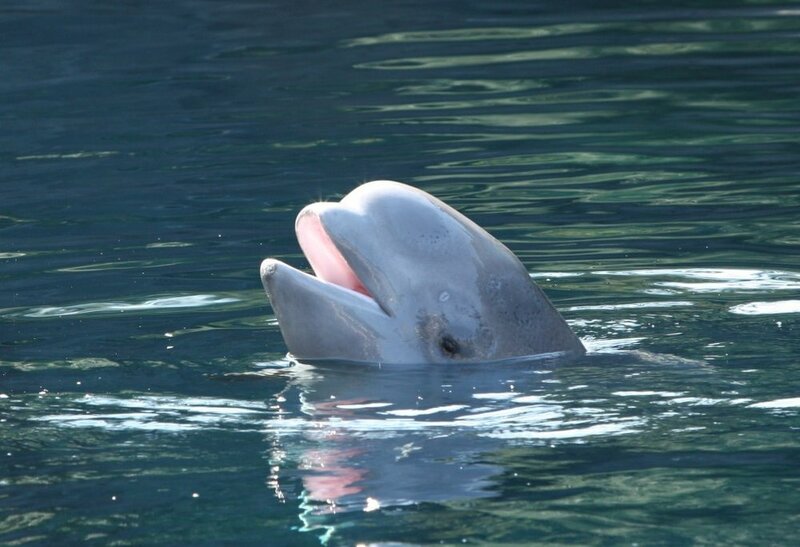 Belugas are born dark grey for protection and gradually change to a creamy color once they reach maturity. I’ve trained belugas before at various marine parks but have never worked with a baby. Here I’m pictured with an adult beluga. The females are smaller than males and reach an average of 13 feet and weigh 2,600lbs. Tiqa has a long way to go! Even at an early age, training is underway! This allows the trainers and the veterinary staff to work closely with the whales and do regular health checkups. As you can see, baby Tiqa is still learning (far right). Tiqa will remain and depend on her mom for the next few years. She’ll reach sexual maturity between six to nine years of age. Belugas can live to be over 50 years old. If you want to see Tiqa in person or learn more about belugas, please visit http://corbinmaxey.com/http://www.vanaqua.org/home/beluga.html.